WaterGirls is a field experience program for middle school students (6th, 7th, & 8th grade). 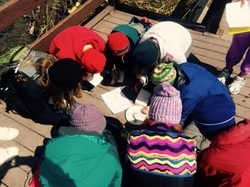 Students will explore their local watersheds and learn about where their water comes from and how scientists measure water quality and assess the health of rivers and streams. Please click one of the links below for more information about the program, or to learn about iUTAH (innovative Urban Transitions and Aridregion Hydro-sustainability). Go to the About page to learn more about WaterGirls. 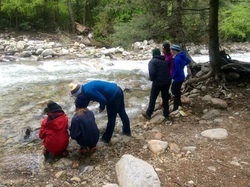 iUTAH is an interdisciplinary research project dedicated to preserving Utah’s water resources. Comprised of a vast network of researchers, universities, governmental agencies, industry partners and non-profit organizations statewide, this is the first water monitoring project of this scale to be attempted in the history of the state. iUTAH Education, Outreach and Diversity strives to connect the citizens of Utah with iUTAH concepts and research. 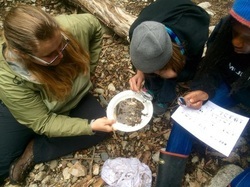 Through a variety of programs and activities, iUTAH EOD partners expose participants to water sustainability issues, and work to enhance the Science, Technology, Engineering and Math (STEM) education in the state to build a water and STEM-wise workforce of tomorrow. ﻿ The Geosciences Department at Salt Lake Community College covers the Study of Surveying/Geomatics, Geology, GIS, Geography, and Atmospheric Sciences. We have four full time faculty members who advise students for more than 4 degree programs and numerous certificates. Salt Lake Community College is Utah's largest college with the most diverse student body. It serves more than 60,000 students on ﻿10 campuses﻿ and with online classes.